Top professional quality and service at affordable prices. Best tools, green agents and techniques for pet stains and problem areas. Our trucks may be near you right now. Talk to our staff about today's specials. Jay’s Carpet Cleaning has been proudly serving the entire Las Vegas valley for over 20 years. Fully licensed and insured, our company brings quality, experience and professionalism to your home or business. – 24-hours a day, 7 days per week…carpeting, rugs, tile, upholstery grout, mattresses, water extraction, power washing and more! We are your go-to company with personality and dedication and 100% focused on customer service in an effort to keep you our loyal, local customer for life! Typical house-hold vacuums just don’t cut it! Most vacuum cleaners available to homeowners extract dirty soil and debris, but oily soils and particles are commonly left behind. Many of these oily soils produced while cooking, from your pets and from foot traffic tracked in from outside of your home become deeply embedded in the fibers of your carpeting. These contaminants continually build up over time, causing your carpeting to prematurely dull and fade, and making your carpeting more difficult to clean. Routine cleaning from our Las Vegas carpet cleaner services reverse the buildup of dirt, dust, dander and other debris to improve the look, functionality and health of your carpets. At Jay’s Carpet Cleaning, we are an ethical and honest Las Vegas carpet cleaner. We are committed to always providing you with the very best service. We’ll review your situation carefully and always recommend the best options for you and your family or business. We will never attempt to sell you unneeded services or practice “Bait and Switch” tactics to increase the pricing of our service after an initial lower estimate was provided. We are always up front with our customers about pricing. What we quote is what you pay. Older manual carpet cleaning wands just don’t cut it anymore! 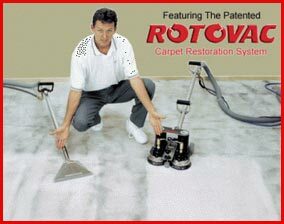 Newer technology such as the Rotovac Powerwand provide for a much more thorough, deeper cleaning of your carpets fibers. With traditional manual water extraction wands, cleaning of carpet fibers is limited by two directions and how many passes the technician makes over an area of carpeting. The Rotovac Powerwand is top-of-the-line equipment which employs rotary vacuum heads that simultaneously spray and extract water and cleaning solution – enabling your Las Vegas carpet cleaner to clean from multiple directions with hundreds of cleaning passes. The Rotovac deep cleans carpet fibers and on average, leaves carpets 20% drier than manual cleaning wands. 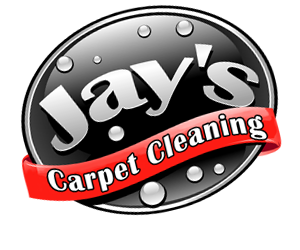 Call Jay’s Carpet Cleaning today to schedule an appointment and restore your carpet’s good looks! Jay’s Carpet Cleaning is committed to providing you with the highest quality service with minimal disruption to you and your business. Through our years of experience, we’ve found the Rotovac Powerwand provides exceptional cleaning capabilities compared to other manual cleaning wands. The Rotovac wand uses rotating heads to clean your carpet’s fibers in all directions. By combining the Rotovac with non-toxic chemicals, we’re able to thoroughly deep clean your carpeting. I called Jay's to clean the carpet in our very large house. Lots of rooms, lots of little places that stains build up, dirt, etc. They sent Jimmy and he did absolutely everything, top to bottom. He started first by pre-treating everywhere on every rug and then proceeded to use the machine that brushes, scrubs, you can just tell it really get the carpet clean, not just getting the surface wet. But he didn't just come in and run it over as fast as he could, he took the time to make several passes at every area, up to the walls, in the corners, around furniture. I am so happy. Will be calling Jay's Carpet Cleaning again for sure.